Elevated pub grub and a nice selection of beers make this watering hole a neighborhood hit. 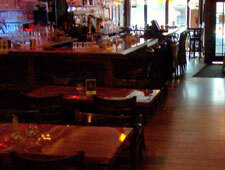 : This small space is a beer-lover’s paradise with a nice selection of Belgian brews and a way-beyond-average bar menu. 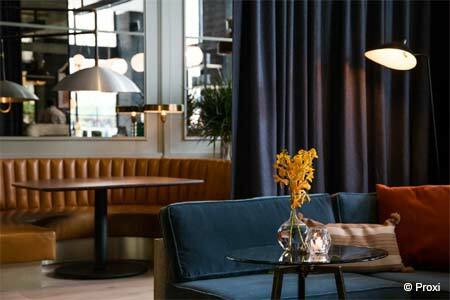 Soft lighting keeps things cozy, and the eats get a decidedly upscale twist. Duck confit mac ‘n’ cheese and spicy PEI mussels start things off. And the disco fries, heaped with cheese, barbecue brisket, sour cream and scallions, have a name (and ingredients) that are hard to beat. Panini --- like the chicken, apple and goat cheese or pulled pork and slaw --- further the theme. Nightly deals (think half-price burgers with sides on Tuesdays) threaten to make this a welcoming, regular after-work haunt for those who live nearby.